He had a weakness for cookies and Yasser Arafat. 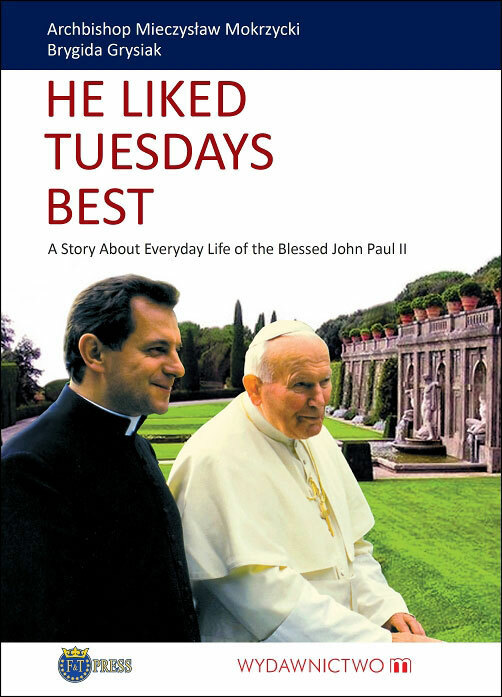 He liked Tuesdays because he had free time, and he has never invited Polish President Aleksander Kwasniewski to Sydney's St. Mary. These free Tuesdays Pope liked the most. We were leaving early in the morning after breakfast. The place was always elected by the MPs from the Vatican. Their wives prepared dinner, which we ate outdoors on plastic plates. Sometimes the evening gendarmes rekindled fire. They were beautiful moments which I very much enjoyed with the Holy Father – says Archbishop Mieczyslaw Mokrzycki. It is a story about the Pope, as was known only by the closest people, with backstage papal apartments, private conversations and prayer. Archbishop Mieczyslaw Mokrzycki describes John Paul II as a man "just" and "above all", with a weakness for jokes and singing. And he most liked Tuesdays, because ... then he has had a free time. - It's not a book about politics but about the sanctity of every day. Everyday life of the Pope - says the author Brygida Grysiak. She admits that the conversations which have appeared in the story, were so astonishing that she herself was very surprised. Because outside of your loved ones who knew that he loved the presents to Santa Claus, camped by the fire with the Vatican gendarmes, he did not like new shoes and formal attire, and had a huge and overwhelming weakness for cookies? - After dinner he did not need to say anything. Only, not even looking in the direction of the sisters, he drew on the tablecloth with the index finger a ring – cookie symbol. Drew and drew. And smiled at them mysteriously . And the sisters did not have a choice but to go out and bring the cookie - says papal secretary. "General Jaruzelski’s legs were shaking"
But also big and serious politics appears in the book. Archbishop Mokrzycki recalls audiences of Polish and foreign politicians, including those who thought about the Pope as a problem. - He accepted their visit and they came. I have seen their legs shaking. Arturo Mari recalled once that Polish communist general and Prime Minister Wojciech Jaruzelski trembled so much that he feared that the General will not maintain a balance. Guests of John Paul II were, amongst others, Yasser Arafat ("he was very fond of him. You could say that he had a weakness for him"), Fidel Castro or Vladimir Putin, who said that “He would invite John Paul II to Russia, but "the situation is not yet adequate." The would-be assassin of Pope, Ali Agca, according to the Archbishop Mokrzycki not apologized to John Paul II, showed no remorse, but instead has just asked about the Third Secret of Fatima. “Post-communists Kwasniewski and Miller were not greeted with great enthusiasm "
Holy Father, says to Brygida Grysiak Archbishop Mokrzycki, has always been well informed. "When after the polish symbol president Lech Walesa there was next elected the president from the post-communist party he was really disturbed by this (...) And then when he welcomed as guests post-communist polish president Aleksander Kwasniewski and polish prime minister Leszek Miller, he did not accept them with great enthusiasm"- says the secretary. Collaborators of the polish post-communist president Aleksander Kwasniewski and former president himself took always a big pride in the fact that the Pope for the first time opened the door of the famous Pope car “Papamobile” for outsiders – him and his wife. 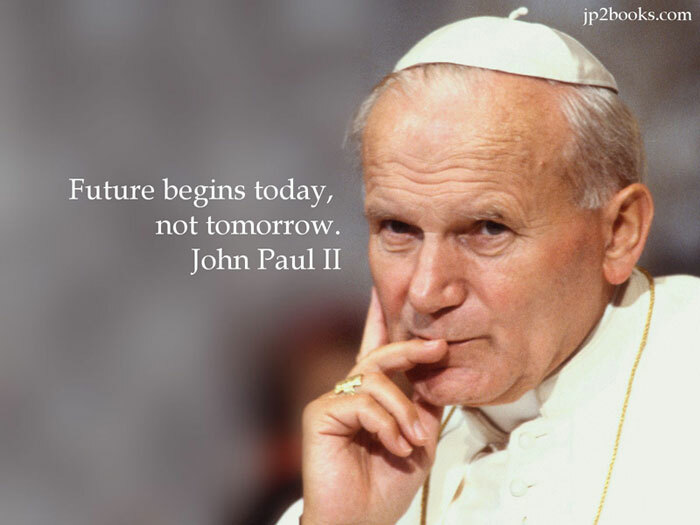 Archbishop Mokrzycki reveals that it was not the initiative of Pope John Paul II. Father Stanislaw Dziwisz, not the Holy Father invited the president and his wife to the Papamobile. Then there was a great critic (...) Father Stanislaw even apologized to the Holy Father for this ill-considered, unnecessary gesture - the Pope's secretary reveals. Archbishop Mieczyslaw Mokrzycki was the personal secretary to Pope John Paul II in 1996-2005. - Father Stanislaw Dziwisz said that the Holy Father did not immediately give his trust to everybody. For some time, he kept the reserve. To me, after the first meeting he said: "Mieciu, you can be calm. The Holy Father has accepted you right away. He has a full confidence "- he recalled in an interview with Grysiak. Asked about the Pope's Secretary author Brygida Grysiak admits that he is a man who was always in the shadow. - He was not even an actor of the second and third plan. Even while reading the biographies of John Paul II, it was difficult to find something more about him than just his name – says Brygida Grysiak.